One of the most intriguing incidences in the Torah is when Moses, his brother Aaron, two of Aaron’s sons, and seventy elders had a meal with God. The references to seeing and beholding God seem to contradict God’s later statement to Moses about not seeing his face (see Shemot/Exodus 33:20). But in both occasions, there seems to be a seeing but not seeing happening at the same time. In the later story, Moses is told that he can’t see God’s “face,” but only his “back” (33:23). How literally this is to be taken, we don’t know. It is reasonable to assume that seeing God’s face versus his back are references to levels of encountering his presence in the physical realm. Human beings, due to our alienation from him, can only tolerate his revealing himself to some extent, a fullness of which would result in death. This explains the reaction of surprise by people such as Jacob, Gideon, Samson’s parents, and Isaiah, who have encountered God in some physical sense and yet survived (e.g. Bereshit/Genesis 32:30; Shoftim/Judges 6:22-23; 13:22, Isaiah 6:5). A hint that Moses and company in this instance didn’t see God in his fullness is the mentioning of “his feet” and the appearance of the ground underneath God. If they saw more than that, one would think that there would be other more graphic things to describe. Experiencing the presence of God or the lack thereof is a recurring element of Scripture. The early pages of the Bible describe God as naturally mingling with people (see Bereshit/Genesis 3:8). Adam and Eve’s exile from the Garden of Eden due to their rebellion against their Creator marks the beginning of our alienation from him. And yet God is not entirely absent. His contact with human beings from that time on is primarily verbal (however that worked) with a few dramatic and more intimate encounters such as the ones I have referred to. But doesn’t God live in a completely other place called “heaven?” Both the experience of eating with God and God’s presence within the Mishkan tell us something different. Heaven isn’t way out there; it’s where God is. 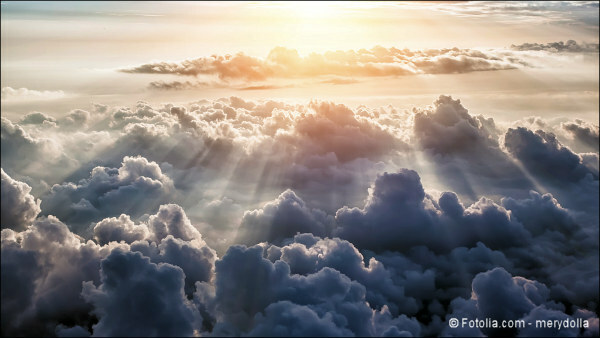 Understanding heaven as far away is a way of speaking to describe the separation of God’s realm from the world in which we live. Yet the Bible teaches that the heavenly realm breaks in from time to time. And one day, the heavenly and earthly realms will co-exist harmoniously as God always intended, when the New Jerusalem is established on earth (see Revelation 21). Moses and company had a taste of the age to come. We can access heaven now. That’s what happens when God’s Spirit takes up residence in us. The Messiah’s sacrifice and defeat of death through his resurrection creates an access to heaven beyond anything experienced prior to his coming. Heaven, the realm of God, is not something we are waiting for to happen when we die; it can be our current reality by putting our trust in Yeshua.